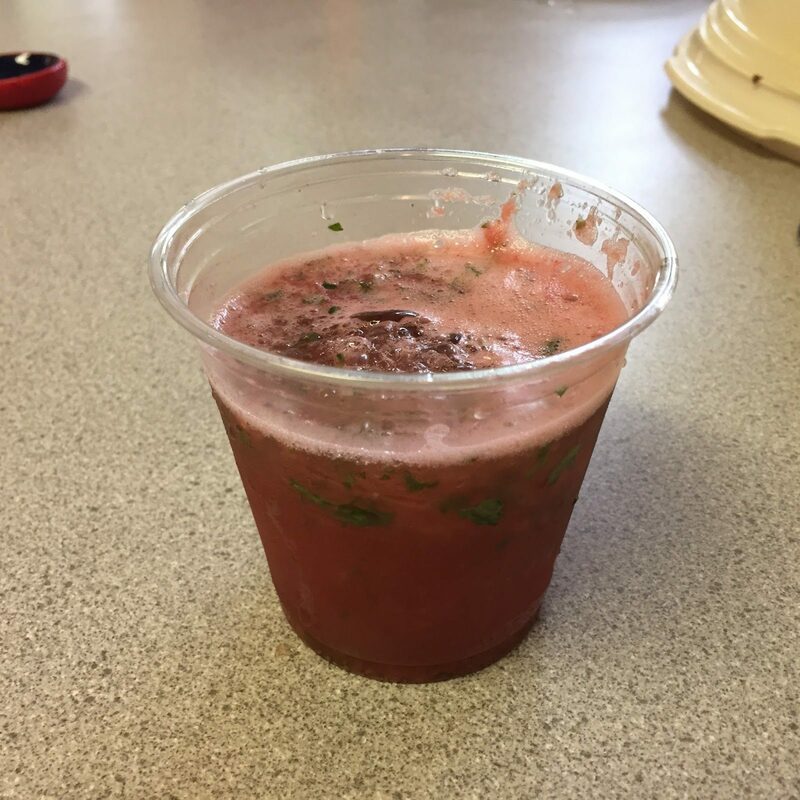 In a blender, whirl the strawberries and watermelon. Strain out pulp if desired. Add the lime juice and simple syrup. 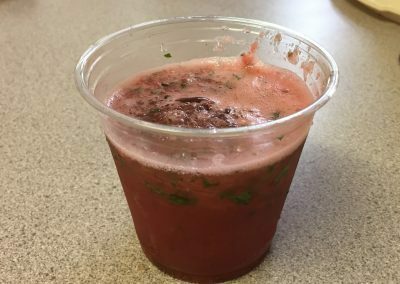 In a tall highball or collins glass, add the mint leaves and muddle with a muddler or the handle of a wooden spoon, just enough to release the oils of the mint. Add 2 ounces of rum on top and fill glass with ice. 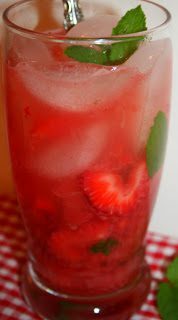 Top it off with the strawberry watermelon mixture and a splash of lemon lime or club soda; stir well and garnish.